Features: Björna's coat is salt 'n' pepper coloured. She has a somewhat pointed snout and a very distinctive walk. History: Björna came to the Bear Forest in July 1994, together with orphaned polar bear cub Huggies. They were playmates until Björna moved to the Bear Forest. Huggies moved to Kolmarden Zoo in Sweden in 1999 and came back to Ouwehands Zoo several years later with her daughter Freedom. 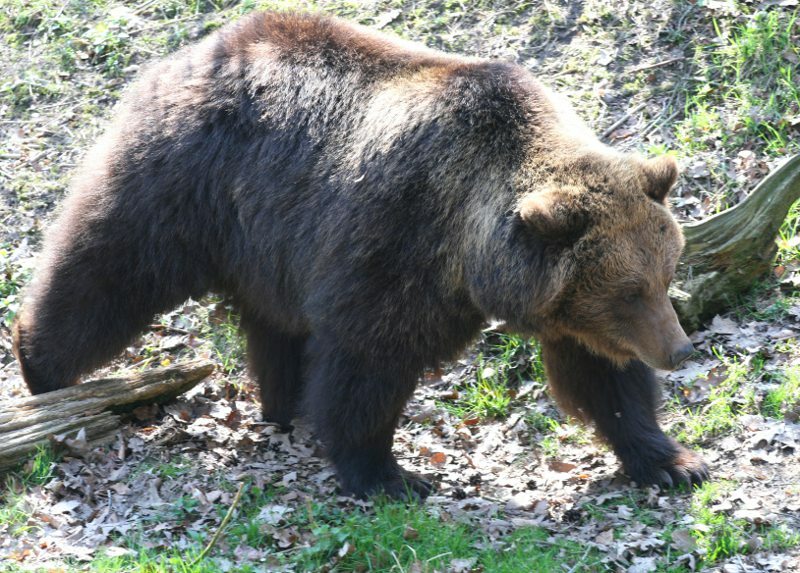 Special remarks: Björna is a very mobile bear and walks a lot through the forest, always in search of something edible. She is always one of the first bears to wake up from hibernation in early spring. Jolanda Biever and Aad Wallaard have adopted Björna for another year starting from 1 September 2018!